WEEElogic makes compliance easy for the industry! 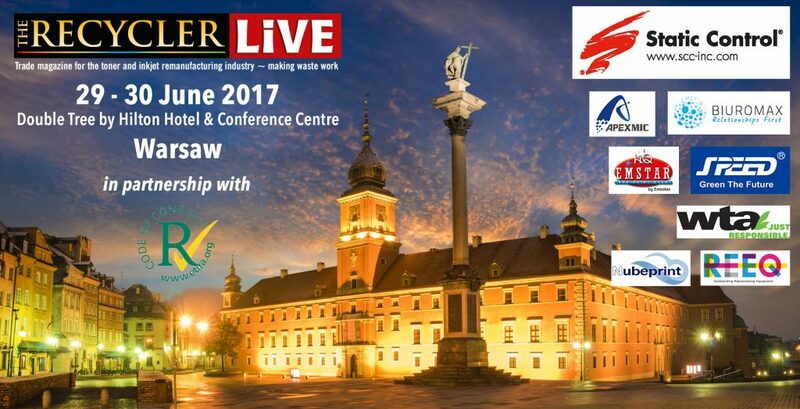 The Recycler Live – Warsaw Conference: WEEE'll be there! The forum is organized in cooperation with Etira, the European trade association. During two days, delegates from all sectors of the office imaging industry from Europe and beyond will discuss the latest trends and issues impacting their industry. Toners and inkjet at a glance! The remanufacturing of Inkjet and toners is a highly dynamic sector which gathers many players who produce or remanufacture . As an example more than 100 million toner and inkjet imaging cartridges are procued or remanufactured eac year within the EU. WEEElogic is organizing a workshop about the legal framework of toners and cartridges. The audience will navigate through the legal obligations, the compliance journey and available solutions existing to cope with WEEE obligations, administrative proceedings in the EU countries, take back and recycling solutions, logistic and reverse logistic solutions. The purpose is to offer an overview of existing possibilities to address circular economy opportunitities and cobvert them into circular economy programs. 1cc-consulting the consulting and legal services company will be presenting WEEE obligations, whereas WEEElogic will be presenting the European compliance hub service offered by WEEElogic. Finally, TechProtect will be presenting individual take-back programs. WEEElogic, as a compliance, take back and recycling hub is gathering forces to offer all-in-one solutions to its clients! Book your trip to attend the event and participate to the very active discussion!